Get clarity out of CHAOS! Is your family in chaos because you are so busy caring for the needs of the family? 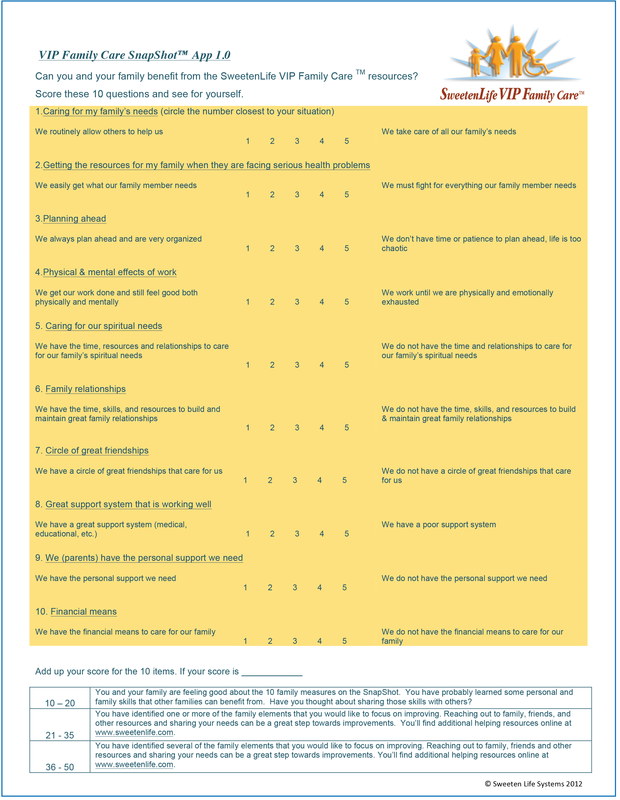 Now there is a straightforward way to efficiently assess your family’s needs, set clear goals for improving areas of your family’s life, and learn new skills to accomplish those goals. A set of family goal-setting, support team-building, and life-enhancing resources. Click on the SnapShot to see if your family can benefit. Not only will your family be growing in personal relationships with one another as you work together to accomplish family goals, but you will be building your support system by reaching out to others who want to help and building new relationships with new friends and family. If you would like more information about our research and resources for families who have a member with special needs click here.